A special thank you to our sponsors for allowing us to continue the work of preserving the history, interpreting the life and times of the Chadds Ford area, and to provide quality 18th century education to visitors, schools, and residents in our community. Your help and support truly makes a difference! We consider you each a valuable partner, whose generosity and support is vital to our mission and service to our community. Crozer Keystone Health Care is a community-focused health care system that delivers patient-centered, quality care in an efficient, cost-effective, and caring manner, meeting the health needs demonstrated by our community. The Phyllis Recca Foundation is a non-profit 501 (c) (3) organization committed to supporting causes related to the health, personal growth and well being of children. A major focus of the Foundation is helping families with children suffering life-threatening medical conditions by paying their hospital bills. The Foundation also supports other activities for children, including educational, civic and social programs. 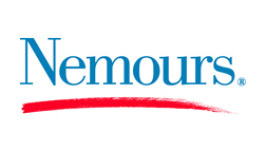 Nemours Children’s Health System– Founded by local philanthropist Alfred I. DuPont in 1940, the Nemours Children’s Health System is a non-profit healthcare system with a focus on family-centered care for children. Serving over 250,000 children in the Delaware Valley and Florida, Nemours has over 65 treatment centers and supports health prevention, intervention, education and research initiatives for all child-related care. ACME– Providing quality products, low prices and friendly customer service, ACME operates 110 stores in Pennsylvania, New Jersey, Delaware and Maryland. 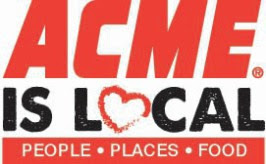 Beyond its grocery operations, ACME is an active supporter of its local communities and strives to be a leading corporate citizen by providing charitable giving to what matters most to their customers and associates. PECO– Founded in 1881, PECO has been serving the greater Philadelphia’s energy needs for over 134 years. PECO reaches 1.6 million electric and 485,000 natural gas customers and is the largest combination utility in Pennsylvania. As a member of the community and corporate citizen, PECO supports programs in education, the environment, culture and the arts and neighborhood development. Susquehanna is a regional financial services holding company with $18 billion in assets, including its commercial bank with over 240 locations in the Mid-Atlantic. Susquehanna’s Corporate Giving Program targets and contributes to innovative programs and projects in community and economic development, youth and education, and access to the arts, donating over $4 million in funding, volunteering and pro-bono work in 2013. Victory Brewing Company– As a local home-grown brewery, Victory’s roots run deep in the Brandywine Valley. Having begun operations in 1996, Victory has expanded it’s reach into 34 states with its original craft beer that combines “European ingredients and technology with American integrity.” Its widely acclaimed brewery and restaurant serves its patrons locally with three brewpubs in Downingtown, Kennett Square and, coming soon, Parkesburg. Chadds Ford Days offers many sponsorship opportunities. Whether you are a business looking for ways to enhance your public image or new to this area and want to increase visibility in the community then this highly popular community event can help you achieve that goal.